“Marie-Madeleine se tenait debout en pleurant devant la tombe.” Mary Magdalene stood weeping outside the tomb. 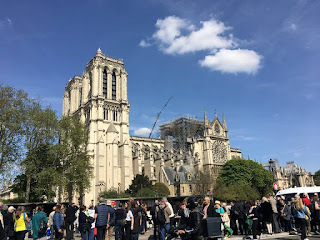 “Notre Dame se dresse aujourd'hui comme une tombe à Paris.” Notre Dame stands today like a tomb in Paris. “Nos cœurs sont rempli de tristesse à cause du feu à Notre Dame.” Our hearts are filled with sadness because of the fire at Notre Dame. How fitting that if this tragedy had to happen, it happened in Holy Week. Because she will rise again, perhaps not bigger or more beautiful than she once was, but she will be filled with faithfulness more than ever before. Nothing reminds us of what we have more than when we loose it. Loss and death is a stark reminder of what and who we treasure in our hearts and how much. Christ has died. So have so many loved ones. We remember them, sometimes wishing we could see them one more time. There is something left unsaid, undone. Perhaps one more hug! As we hear the news this morning from Sri Lanka, we stand transfixed; "Unbelievable". The Good Friday fact of human tragedy ultimately gives way to the fact of human love. This is the Resurrection. 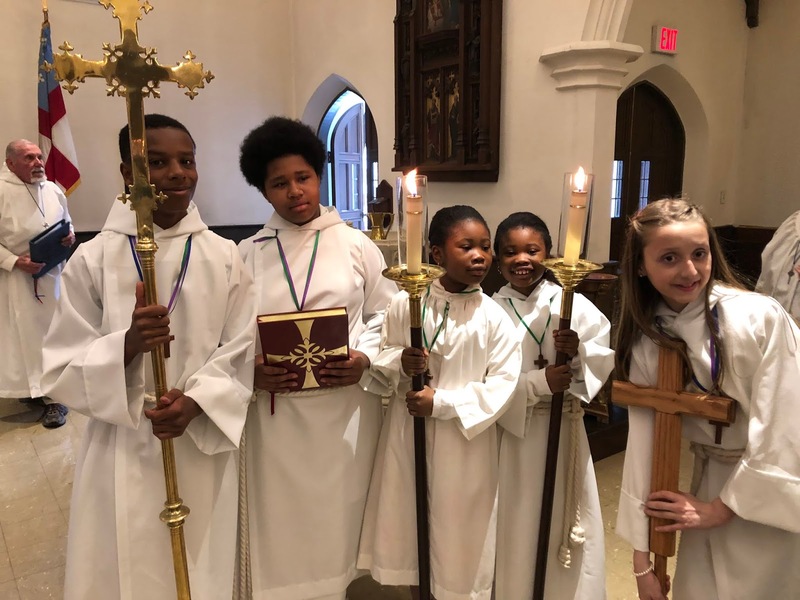 Yes, it is unbelievable not only our loss of Notre Dame, not only of churches belonging to black congregations in Louisiana, but also our very own fire here at Trinity, some years ago. So much was lost. But the buildings rose again. Moreover so did our faith. Within days a billion dollars was raised for the rebuilding of Notre Dame de Paris. Thankfully, at the same time, millions have poured in for the rebuilding of the churches in Louisiana. Trinity Church stands today as a sign of our faith in Jesus. Naturally folks raise questions; If we can raise a billion dollars that quickly, that easily for the rebuilding of a Cathedral, what about the poor for whom Jesus gave his life? Remember; Blessed are the poor, the mournful, the meek, the righteous, the merciful, the pure in heart, the peacemakers and the persecuted? I grew up in the hood and have served congregations in the inner city. I have served in rural churches where so many live in poverty. What breaks my heart is that, in so many places, the forgotten live without the hope of a future; of work, a place to live, or even enough to eat. What about them? Across the political spectrum, there is general agreement that America needs an enormous investment in infrastructure projects. If we choose, there are good jobs for everyone to rebuild our bridges, roads, and transportation systems. After World War II we put all those returning soldiers to work building the Interstate Highway System. What an opportunity we have today! In Adam all die. Yes, divided, enslaved by the sin of hate, recrimination and blame we all die. But in Christ all shall be made alive. Imagine being filled with such love for one another that we put aside our differences and mobilize all our efforts and figure out a way to put all our citizens to work. Imagine filling our young with hope in all inner city neighborhoods like the one we live in, or in rural areas. Unemployment in the coalfields of West Virginia still hovers around 70%. There is too little hope in too many places. Life or death? Die to sin? Rise to life? Is there a Resurrection? Part of the answer to that question rests on our willingness to become obedient to God together. There are many others who are not so full of true, honest integrity and faithful love for the likes of the vulnerable in our midst. They honestly think that they can get away with whatever chicanery they can dream up. There is a thing called theft, fraud, dishonesty, violence and criminal behavior. There are those who think there is no accountability in this life or in the life to come. If you are rich enough you can probably get away with it in this life. If you are poor, you will likely be incarcerated. But God will not be mocked! Do you suppose that the secrets of our hearts are not indeed disclosed to God? It must be of considerable comfort to those who have said in their hearts that there is no God. Boy, are they in for a surprise! “Oh there are times.” I’d tell him in all candor. But then I read the Gospel again. Every single day. Every single Sunday with faithful folk like you. Matthew, Mark, Luke and John; and the person I meet on these pages comes to life again for for all who look to him for hope. Not for this life alone, but for the life to come as well. The ancient symbol of the Resurrection is the butterfly. The idea of death and life is woven into the fabric of the created order. In winter all seems to die a cold and rock hard death. In Spring all of nature is born again. A common grub finds itself inside a tomb like cocoon. It emerges to the glory of a butterfly. Recalling and restoring this ancient symbol, we present to you these butterflies. Your Sunday School has made them for you. We are all in for a wonderful surprise. The common grub has no way of understanding that it will become a glorious butterfly. How can you and I know what we shall become? And what God has in store for us? Every time I stand at the grave with the bereaved among my family, friends and parishioners, I proclaim the ancient words; Alleluia, Alleluia, Alleluia, and without hesitation, I proclaim the Resurrection of Jesus. Now we go to the font and renew our Baptismal Covenant. I so love it when I sprinkle you with holy water and remind you who you are and whose you are. We cannot help but smile and be filled with joy. Thanks be to God who gives us the victory through our Lord Jesus Christ! Please come with me to the font as we renew our Baptismal Covenant. 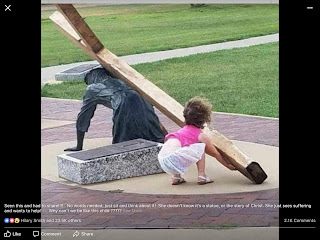 A little girl bends over to help him with his cross. It is the most natural thing in all the world to do. 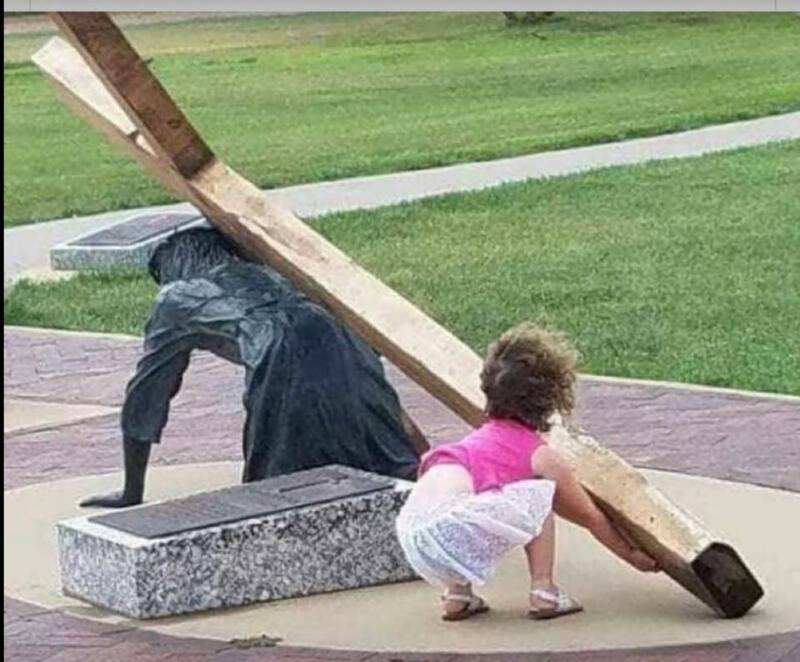 She will follow him and help him all the way to the end. She will watch with him even when he dies. She will not leave him. She will stay with him. On the third day, she and her friends will go to the garden to prepare him for burial. But the stone will be rolled away. The gardener will greet her. Only then will it dawn upon her that he lives! They won’t believe her but she knows the truth. Today’s Gospel takes us to that complicated place where family dynamics occur. It all begins when the younger son took his inheritance to set out on his new life. Aha! Free at last from the constrains of family obligation and tiresome rules. Now he was in charge. Apparently, he sowed a few wild oats and squandered the inheritance. A famine set in and he began to be in want. Ultimately he came to himself and realized that if he returned home and threw himself on the mercy of his father there might be a chance for him to be treated at least as well as one of the servants. But the father’s abundant love was more than generous. It was extravagant. It was like God’s love for a sinner who returns to God; it was Eucharistic! Bring the best robe, the fatted calf and a celebration fitting for the joys of heaven. However, the father’s unconditional love was problematic for the older brother, and with some justification. He spoke right up; you’re throwing a party for this ne’er do well son of yours, and you’ve never so much as done anything like it for me and my friends. Many of us have been in that position; the position of a sibling who looks resentfully at our own blood brother or sister. There is something deeply out of synch here. If it isn’t resentment, there’s something else that tears at the fabric of the relationship, to the point that the damage done may be irreparable. But the older brother was angry. He refused. Besides, too much anger is not good for us; as the old saying goes; “Anger is the punishment we inflict upon ourselves for someone else’s mistake”. We are left to wonder; was there reconciliation? Or was the family finally and irrevocably torn apart. Each of us is left to complete the story as we live out our lives in our own family relationships. I’ve seen the story go on in so many ways. To see the Gospel in its fullness I invite you to see yourself in each of the roles being played out in the parable. A father or a mother who pleads to keep the family together. Likewise the sinner who comes to his/her senses and asks for forgiveness. The Psalmist says; “Happy are those whose sins are forgiven”. Tragically, there are those who never do come to their senses; making forgiveness problematic. And there are those, who like the older brother, are faithful and diligent; it is as though they are taken for granted. Whers’s their party? The parent, the sinner, or the older brother; which are you? Or have you been all of the above at one time or another? It's complicated. When Jesus tells us this parable he confronts us with the predicament we often find ourselves in as we seek to love, forgive and reconcile. I’m reading a wonderful book now by Tara Westover called “Educated”. A woman grows up in an abusive family. Her father, mother and brothers leave permanent scars during her formative years. She grew up in a family with undiagnosed and untreated mental illness. She had to battle with all her might to extricate herself from the abuse. For those who work with victims of abuse, we know how difficult that work is. The statistics are not encouraging. It is like tearing part of your soul in half to come to terms with your parents and siblings especially when the abuse is so traumatic, persistent and systemic in formative years. And yet, if you can come to terms with your family of origin you can take on the world. Especially with your mother, father and siblings; if you can deal with them, you can free yourself from the slavery of repeating the same sins and offenses with those you become responsible for. Being human, you’ll probably think up new ones! A Christian psychotherapist once shared this vision of mental health; “Our challenge is to love God first, love your neighbor as yourself beginning with your parents, and at the same time discover how to love yourself like God loves you.” That’s a spiritual challenge that takes a lifetime. For all too many the challenge is to stand up for yourself without allowing yourself to be dragged back into the old family dynamic of mental illness. Easier said than done! 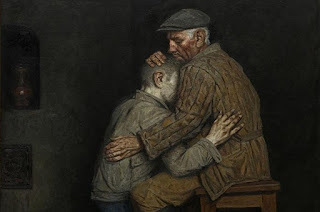 In today’s parable the father, the younger son and the older brother faced it. All parents, children and siblings face similar challenges. Forgiveness does not come cheaply. We must work at it. And it is very hard work indeed. How in heaven’s name are we to be reconciled to one another? 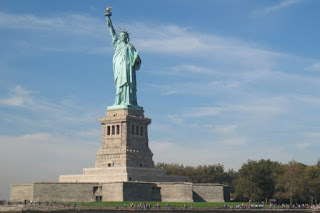 In our families, with friends, at work, and God help us in political and international relationships? Sin is easy. 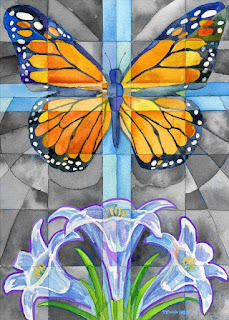 For there to be the kingdom of heaven we will have to work at being open to the miracles of love, forgiveness and reconciliation. Like the children of Israel as they wandered aimlessly forty years in the wilderness,. Moses had to come up with 613 laws to get them to the Promised Land. They kept thinking up dumb things to do. Moses was just about fed up with that crowd. But God fed them with the bread of angels; Manna from heaven. 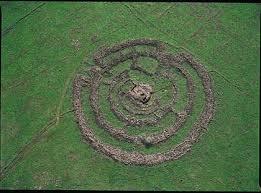 When they arrived at Gilgal; an interesting place with yet another mini-Stonehenge like stone circle, the manna ceased. 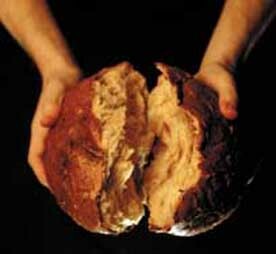 When Jesus breaks bread with us at God’s Altar, he invites us to recognize that something is broken in each of us. Perhaps something in your family of origin has probably left a scar. Live long enough and you will have a plenty more scars to show for it. Jesus came to heal those very scars. Jesus healed the lame, the blind, and the deaf. And the scars in our souls he healed when he taught us the way to love and forgiveness. Or when he reached out to the poor, the heartbroken, the persecuted, and the marginalized. This kind of unconditional love, this extravagant forgiveness that he so freely shared with everyone, this ministry of reconciliation that he entrusted to us was to change the world. Frequently, he took bread, blessed and broke it, likewise after supper he took the cup and did the same. He became the Bread of Heaven for us. At this altar rail, he feeds us with the healing touch of eternal life. Jesus did not escape unscathed from this world; he wore scars into the Resurrection Life. Jesus also took that which is complicated and made it simple. “Be reconciled to one another”. With the Bread of Heaven he feeds us at this Altar Rail and rejoices as we live our our lives with earthly love, forgiveness, and reconciliation both to humankind and to God. For the more we practice the one, the more we live into the other. God’s love is extravagant; for each and every one there is the finest robe, bring on the fatted calf; let the Eucharistic festivities begin; as it was in the beginning, is now, and ever shall be. Amen. The encounter with God comes in ways that may surprise you. For Moses, it was at the burning bush; for me it is in the keeping of my daily journal. For both of us it is a matter of urgent and immediate concern. Moses had seen the way the Egyptians treated the Children of Israel. One day when an Egyptian was abusing one of his kinfolk, Moses flew into a rage. He killed the taskmaster and and hid the body in the sand. But word got out somehow, Somebody saw what happened and Moses fled for his life and went into the land of Midian. There he tended the flock of his father-in-law Jethro. Injustice and guilt weighed heavily upon him and he had plenty of time to be alone with his thoughts. Moses needs more than that. He needs to know what to tell the Israelites when they ask for the Name of God. He must have wondered “how am I to face Pharaoh? How am I to persuade the Israelites that I have been talking to the living God? Every other people in the Ancient Near Eastern world had a god with a name. The Canaanites, the Hittites, the Amorites, the Perizzites, the Hivites, the Jebusites, and the Egyptians: they all had gods with names. What about you? As with Elijah, so with Moses, I imagine a sheer silence as Moses contemplates this awesome encounter with the Living God. In other words God is and was and always will be whoever God chooses to be; as in the beginning, is now and ever shall be. And more besides. 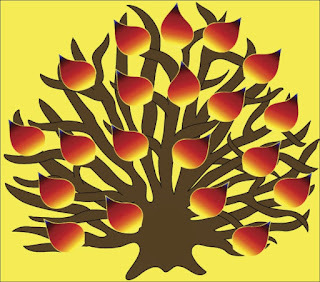 My meager attempt to describe God cannot be contained any more than the Holy Name can be contained in the encounter Moses had in the Burning Bush. Nor can it be contained merely in language. God is infinitely present and real for us no matter who we are or who we become or for that matter, whatever predicament we find ourselves in. God is there for us; real and present in the specifics of our lives. Whenever presented with injustice and oppression of any sort God is there. When presented with sickness, life or death; God is there too. Gods acts and sends us to act. God is a verb, not a noun! In Moses’ case, God saw the misery of the people. God brings the people out of slavery into freedom in the Promised Land. God gives the people a Law to live by. And Moses was God’s chosen servant. Throughout history God does the same time, after, time after time. God gave us Abraham Lincoln, Martin Luther King and more. God gave India Mahatma Gandhi. God gave the folks in South Africa Nelson Mandela and Desmond Tutu. And on and on it goes. The great Jewish thinker Martin Buber postulated the thought, that the best way to think about God is in the nature of our relationship with God. It is best understood in dialogue. He used the German “Ich-Du”, or “I-Thou”. The English doesn’t quite have a word for it, the “Thou” is not so formal but intended to be intimate. In German the pronoun “du” is used for family and relatives, close friends, young children, and God. In other words, if you seek God, go deeper to that “Honest to God” place within your own heart. There is where the dialogue with God best takes place. The deeper you go into your heart of hearts the more likely you will delve into the heart of God. That is where you will find God’s love for you; your love for God and moreover God’s guiding hand in the specific reality of your life. God will lead you to love others as God loves all. And then there’s me. Some years back, I was recovering from a severe manic break; or what we used to call a complete nervous breakdown. In the helping professions, self care is often overlooked. We’re so busy taking care of others, we forget how important it is to take care of ourselves. Both my therapist and spiritual director agreed; it was time for me to keep a daily journal. In it I would pour out my soul. I would record the events of my life and describe them; especially those that seemed to be the most concerning. In short, the presenting issues of my life. Then I would reflect on the feelings these events would generate within me. I came to understand what my spiritual director meant; feelings are angels God sends to invite us into further growth. Unbeknownst to me, I was tracing the face of God on the pages of my journal. I was practicing the Presence of God, as Brother Lawrence described in his little masterpiece in Christian Spirituality. My life became much more manageable. Between the meds and the journal and my prayer life, I was discovering that the Burning Bush for me was is and always will be the fact that God IS WHO GOD IS. God is there in the bleakest mornings. God is there in every joy, every sorrow and every moment of my life. I began to keep a journal faithfully on St Patrick’s Day, 1990. That’s 29 years of Practicing the Presence. Almost three decades of standing in wonder at the Burning Bush in conversation with my heart of hearts. When I go back and read some of my journal entries now, I marvel that i would let myself be bothered my such trivial matters that used to bother me. It is one and the same; it is the sacred name. The still small voice of God speaks if we but take the time to listen. I AM. I HAVE ALWAYS BEEN. I ALWAYS WILL BE. With you. In you. Above you. Under you. Around you. It has all happened before. Time after time, after tiresome time. Hatred has its day. Emmanuel AME Church in Charleston, The Tree of Life Synagogue in Pittsburg, and now two Mosques in Christchurch, NZ. It has all happened before. “What can I say of those who are dead; these children of God whom the sword has struck down so harshly? It Is written, "Weep with those that weep,” and again "If one member grieves, then all members should grieve together." Because of this, we all cry out for our sons and daughters who have been so senselessly murdered…My voice is raised in sorrow and mourning. Oh, my most beautiful, my lovely brothers and sisters. I have lost count of your number, what can I do to help you now? I am not worthy to come to the help of God or humankind. "We have been overwhelmed by the wickedness of unjust men,"
~St. Patrick, Letter to Coroticus. Throughout history, Christians, Muslims, and Jews have faced into the jaws of violence time and again. Intemperate statements of blame, fear and anger are often hurled back and forth to each other, and we play into the hands of those who wish nothing more than to incite us to war and more hatred and more violence. Some say Sharia Law is unconstitutional. Others say that Jews are the diabolical nerve center, who use their infinite wealth and power to reduce and weaken the white man. And others still say that Muslims, Jews and Blacks seek to replace the White man. Islamophobia, Anti-Semitism, and Racism is an unholy trinity of evil and has a strong hold on many. In the extreme these fears erupt into violence. An editorial in yesterday’s New York Times helps spell it out. There is a thing called White Supremacy and we’d best wake up to the danger it poses. I have worshipped in in all sorts of Churches, Mosques and Synagogues. In all my experiences of worship, I have been struck by the sense of the holy. A deep satisfaction fills the soul when your heart is filled with prayer. It may be said, spoken, chanted or sung in the ancient and/or modern idiom of faith. It is deeply moving to share the Holy with one another. How then do we respond to the hatred and the violence? When Patrick faced the immediacy of violence, he had no weapons but the language of God. He was at a loss as we are in the wake of the horror of hate. 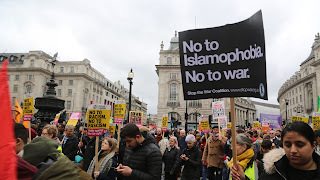 In the raw aftermath of “The Christchurch Massacre” what can anyone say? The Devil, the Evil one, Satan; call it what you will, it is hatred pure and simple. Taken to the extreme, it seeks to kill. Hatred is a violation of all God’s Law; be it Sharia, the Law of Moses or the Law of Jesus. In Seminary, we used to say that the only Doctrine we can prove is Sin. All other Doctrine we must take on Faith. But I can prove Sin. Read all about it in the papers! Watch it 24/7 on TV, any network. The heinous crimes of hate in Houses of Worship, Schools, Movie Theaters, Concert venues or on the mean streets of any American City. Or, the Wickedness of Human Trafficking in Florida massage parlors and elsewhere, or just the pervasive greed that pays the way of the rich and famous into Ivy League schools. And all that is just one week! Call it for what it is: Sin! But there is something else Sacred History teaches us in our shared Legal tradition. There is the Law of Humankind. There is also the Law of God. We are accountable to one another in this life but we are also accountable to God both in this life and in the life to come. The modern secular world may take some comfort in thinking that there is no God, that there is no Heaven or Hell and that there is no Godly Judgment. We may as well come right out and say it; how we live our lives makes a difference and not just by human standards. We also live by God’s standards. God holds us all accountable. All God seeks of us is that we turn to God and live. Love God and Love one another. I quote; “And so, now you, Coroticus and your gangsters, rebels all against God, now where do you see yourselves? You gave away girls like prizes… All for some petty temporal gain that will pass in the very next instant. "Like a cloud passes, or smoke blown in the wind," so will "sinners, who cheat, slip away from the face of the God. But the just will feast for sure" in the eternal habitations. Make your choices. Repent now before it is too late. Armed with just this language of God, the soldiers of Coroticus, laid down their weapons, the slave trade ended for a time in Ireland. 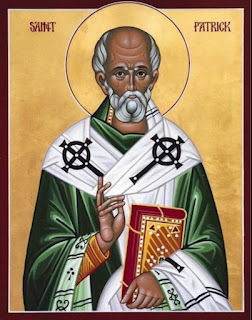 Patrick drove those “snakes” out of the Emerald Isle. O Jerusalem, Jerusalem the City that binds us together as one; Jews, Christians, Muslims. Obey God. Submit to God. Love one another. Jesus, how did you do that? Jesus, How did you do that! For those of you who love British humor you might want to watch Rowan Atkinson’s portrayal of an English Vicar reading this Gospel. His take on the story generates all kinds of mirth. I’ll provide you a link on my blog a little later today. I think you’ll enjoy it. The first miracle at a wedding in Cana of Galilee for me, is rich with symbolism. The marriage feast of the Lamb, the Messianic Feast. Christ as the Bridegroom; the Church as his bride. The water jugs set aside for the Jewish rite of purification, there are all kinds of reasons to keep wash your hands, body, dishes, not just for ritual cleanliness, but also for general hygiene. The use of these particular jugs to make wine for the wedding feast, provokes some interesting questions. Underneath all of these references, there is the idea of the Passover of Jesus from death to life, the last supper, the Passover, the Lamb of God who takes away the sin of the world. 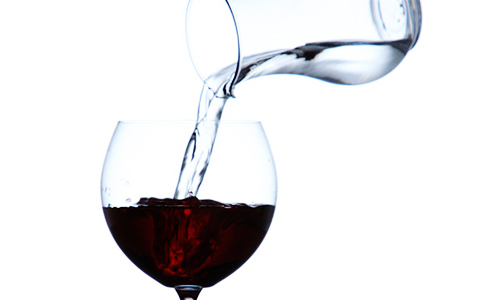 The joy of drinking fine wine, to taste and see how good God is in our life. Let’s not get bogged down in whether or not “it happened”. Rather let’s direct our attention to what Jesus is dong in our lives when he feeds the multitudes, heals the sick, brings good news to the poor, and reaches out to the outcasts, the lepers, prostitutes, and the tax collectors. God’s love for us is much like a wedding. Everyone is invited. There is much feasting. Whatever feuding there may have been before is suspended for a while as the bride and groom celebrate their love and their families with them. For a wedding, typically everyone brings a gift; the gift of themselves as well as something for the couple. There are other kinds of gifts to make a wedding possible. At our wedding rehearsal dinner, Cindy’s family; a large Italian one; each brought their favorite dish to share, in copious amounts, I might add. And there was plenty of beer and wine. The laughter and the joy was plentiful. On our wedding day, there was a dear friend, our “yenta” Jackie who baked our wedding cake. On the way to the wedding her husband, Martin had to stop short and the wedding cake suffered some smudging. Another family friend found a hall for us to use for the reception. Bishop Coburn presided and blessed our rings. Chester Porteus, dear, dear Chester, my first boss and curmudgeon extraordinaire, pronounced us husband and wife. So many gifts, and yet one spirit. almost 40 years ago now. My uncle and his partner were there. Now, they too can be married in the Episcopal Church, thanks be to God. My uncle was not all that pleased when I was ordained. “You with the turned around col-laire,” he was fond of saying dripping with sarcasm. One night Al was beaten to a pulp when he was out partying with his friends in Boston. He called me up and asked me to come over to his apartment and help bandage him up. It was a brutal beating. I did the best I could. I had no idea how bad it was, but I was learning. Thank God the Episcopal Church did that. 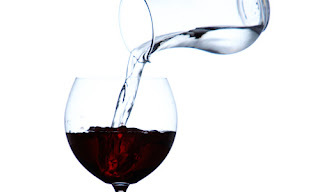 And now, miracle of miracles, the water has indeed changed into wine; not only can Cindy and I drink deeply from these wines made pure by Jesus, so can Al and Jimmy; so can all God’s children; without regard to gender, orientation, race, class, ethnicity, language or national origin. We all bring many gifts. We are one people and one spirit in Christ Jesus our Lord. The wine Jesus gives us in his unconditional love is the very best wine of all. Many of us enjoy doing the family Genealogy. I go in fits and starts, but during the past 10 years or so, I have identified over a thousand relatives who have come before me. If any one of us goes far enough back into the past, we’ll discover some interesting characters. On the Irish side of the family there were the horse thieves and other mugwumps and scalawags that make for a good story. We came here during the Great Famine. The village of my ancestral home lost 1/3rd of its population in two years during The Great Hunger. 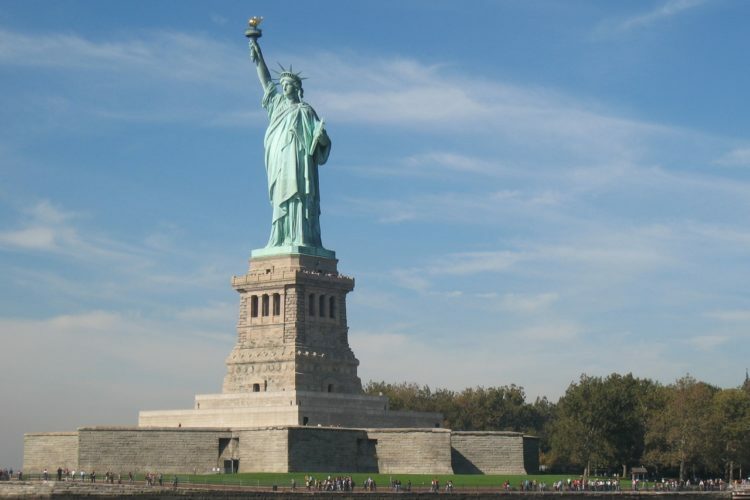 America opened her heart to us in those days as she did to millions more. On another side of the family, there were the sea captains of Maine that plied their trade in the sea. By following one thread we can go to my 9th Great Grandfather John Gallup who was killed in the Great Swamp Fight during King Phillip’s war. It was an early Colonial example of the way we treated native Americans all through our history. We slaughtered women and children in the battle. It is not an episode I can be proud of. 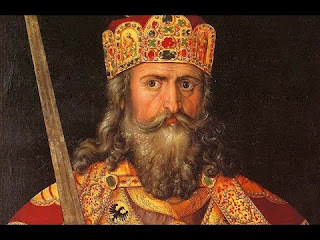 On another line of the family I can trace my lineage way back to Charlemagne, the Holy Roman Emperor b.742-d.814. He was my 38th Great Grandfather. Don’t be too impressed please. He was regarded by his contemporaries in Rome as just another barbarian. Any one of us with enough patience can trace ourselves back to the famous and infamous alike all through history. It is an interesting pursuit. The stage of history is not the only place where the battles between nations go on. Some of our struggles are of a very personal sort. I remember being a teenager. I was not very sure of myself in all kinds of ways. Life at home was difficult for me. But I went to church just as my grandmother taught me to do. I’d walk the distance lost in thought. I sometimes wondered what was to become of me. I really wasn’t all that good in school. The guidance counsellor told me I’d never get into college, so I’d better make up my mind to go into the trades. Often, I felt lost and alone. Then as I approached the church, I’d look up and see the cross standing tall in front of a modern church. This was during my Toronto years. 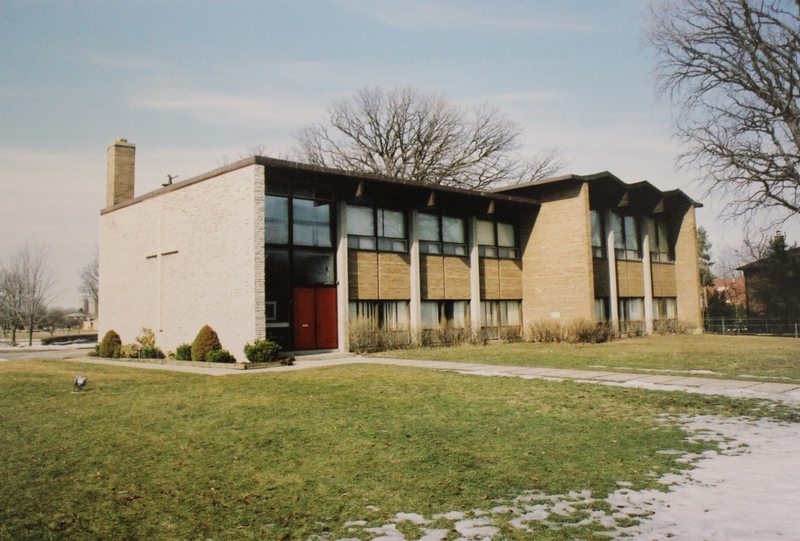 The architecture of that church had little to draw my admiration unlike the church where I was baptized in Cambridge. But that cross held my attention in its simplicity. These words to my heart: “At least here, I know I’m loved”. My priest was a modest man and he prepared a bunch of us for confirmation. He was a good scholar and a skillful teacher. I remember how he taught us the Lord’s Prayer, the Ten Commandments, The Parables; but most of all, I remember how he taught us the catechism. We snickered as teenagers do. He smiled but then continued. I seem to remember how he drilled us on the catechism, especially this part. It had an effect on me. I can distinctly remember now raising my head as the redeemed of God when I walked to church on a Sunday morning, no longer dejected, lost, downcast. No! “I am a Child of God, a Member of Christ and an inheritor of the Kingdom of Heaven. “I have called you by name, you are mine. In both the Epistle and the Gospel we learn that you have been Baptized with a fire that burns in your heart for the love of God and for the love of others. 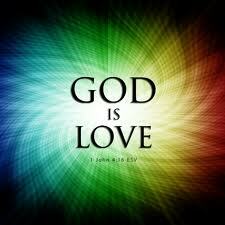 Moreover, God loves you. When God says to Jesus; "You are my Son, the Beloved; with you I am well pleased,” he says the same to you. You don’t believe me? Then why in the world would he have stretched out his arms on the hard wood of the cross for you? Why in the world would he have stretched out his arms on the cross for everyone? This is what began to change my life. I said; “Yes, sir”, hopeful but not quite convinced. I was astounded that somebody believed in me. We shook hands. I buckled down. I got into college. I got into seminary. It pleases me to say at that I’m the first in the family in over a thousand years to be ordained so far as I can tell, but becoming so hung by a very thin thread. But here I am in your midst, a parish priest. I tell you all this because my parish priest taught me that I am a child of God, a member of Christ and an inheritor of the kingdom of heaven. He believed in me. My principal believed in me. I began to listen and read the scripture differently. God believes in each and every one of you. Today we come to the Feast Day of the Baptism of our Lord in the River Jordan, I ask you to remember that God believes in you. Like Jesus, you are the beloved of God. Many of us will continue to do the family genaeology as a way of exploring our historic identity. But today as you and I renew our Baptismal Vows, let’s remember who we are and whose we are in God’s eyes.